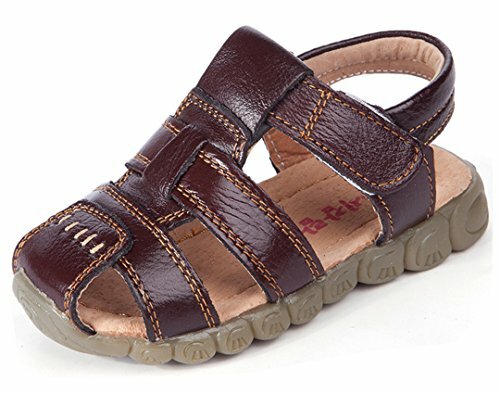 iDuoDuo Boys Girls Breathable Waterproof Leather Strap Beach Dress Party Flat Sandals adopt high quality to give kids better wearing feelings. The hollow design makes kids feel more comfortable. There are various kinds of sandals. The biggest feature of sandals is cool and breathable just as slippers. But they are more formal and fashion than slippers. Sandals are essential in summer. iDuoDuo commits to providing personalized, comfortable, cute and fashion products for growing children. Let little prince and princess enjoy their childhood with happiness and confidence is iDuoDuo's mission.